Following six long and challenging days of racing in South America, the duo of Adrien Van Beveren and Xavier de Soultrait find themselves well-placed inside the top four of the 2018 Dakar Rally’s provisional overall standings. With all four Yamalube Yamaha Official Rally Team riders successfully reaching the Laz Paz bivouac this afternoon, they are now looking forward to tomorrow’s Rest Day in the Bolivian capital. 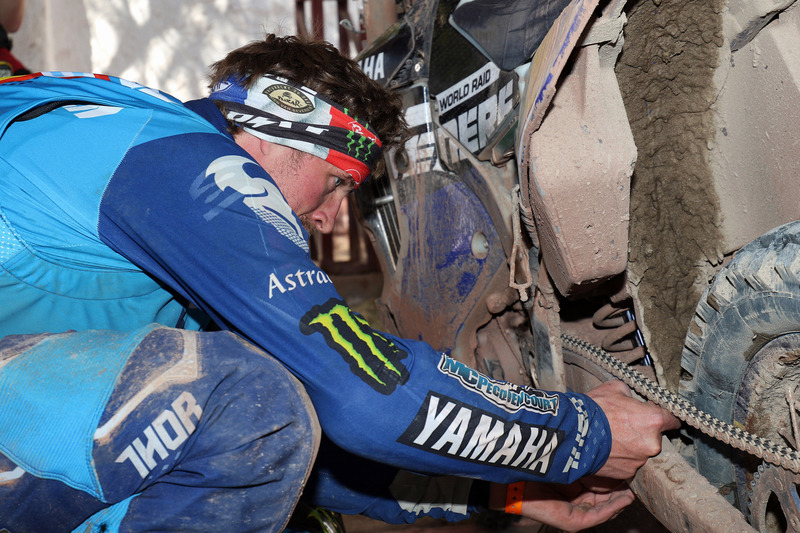 Following a well-calculated plan of attack, Adrien Van Beveren secured a top 10 stage result, to reach the Dakar Rally’s halfway point second in the provisional overall standings. Wrapping up a highly successful first week of racing in South America, the WR450F Rally powered rider is now one-minute and 57 seconds behind the provisional overall leader. Able to show more of his skills today, Xavier de Soultrait enjoyed a great start to the special stage. Making a few crucial passes, the Frenchman lost some time in the deep mud halfway through the stage, eventually crossing the finish line in ninth position. Gradually gaining positions in the overall standings since the first stages of this year’s Dakar, Xavier is now fourth in the overall and within striking distance of the leading trio. Enjoying yet another steady performance, Yamalube Yamaha Official Rally Team’s Rodney Faggotter remains inside the top 20 in the provisional overall standings. Reaching the La Paz bivouac without any issue, the Aussie is now 18th in the provisional overall. Following yesterday’s issues, Franco Caimi was back in the game today. Wrapping up stage five with a 21st place result, the Yamalube Yamaha Official Rally Team rookie is moving up the overall standings. Yamaha continues to dominate the Quad class of the 2018 Dakar Rally. With Ignacio Casale retaining the lead in the class’ provisional overall standings, there are nine Yamaha powered riders inside the top 10. The 2018 Dakar Rally’s Rest Day tomorrow will give Yamaha Racing riders the chance to get some well-deserved rest ahead of the second week of competition. With eight more stages yet to be contested, week two of the event is shaping up to be equally or even more demanding than the first one. “The day was shortened due to bad weather so we only raced a short timed special. Conditions were totally different today. There were parts with a lot of mud in the special stage. I attacked from the start and managed to gain some time to the leaders in the first checkpoint. Then I caught Adrien and as soon as I passed him I got a message on my GPS to slow down and ride cautiously as there had been some incident in front. As I slowed down my bike got stuck in the mud and I lost some time to get going again. Apart from this minor issue I had a good day and I’m happy I climbed to fourth in the overall.